THE STORY: There’s a new tenant at Armadillo Acres—and she’s wreaking havoc all over Florida’s most exclusive trailer park. When Pippi, the stripper on the run, comes between the Dr. Phil–loving, agoraphobic Jeannie and her tollbooth collector husband—the storms begin to brew. 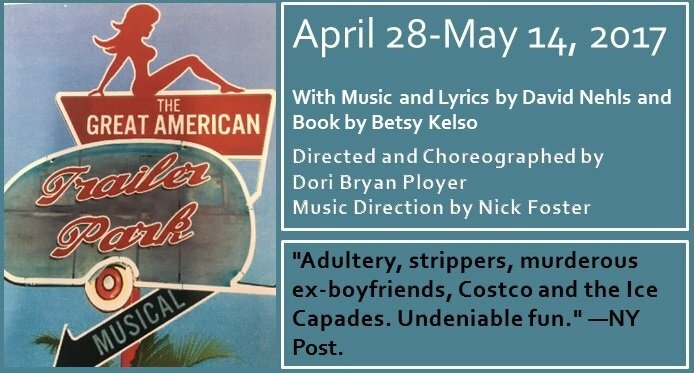 “Adultery, strippers, murderous ex-boyfriends, Costco and the Ice Capades. Undeniable fun.” —NY Post. “A bright new show!” —NY Times. “A show that actually lives up to the hype of its title.” —Village Voice. “A delicious new musical. The joint is jammed and jumping with raucous laughter. It’s like The Honeymooners meets The Best Little Whorehouse in Urinetown.” —NY Post.